As a continuation of Philanthropy Network’s comprehensive Equity in Philanthropy initiative, we are excited to announce the inaugural Equity Cohort for foundations ready to take a deep-dive into this work and fully embrace a commitment to equity. The Equity Cohort, a 12-month immersive program, will begin in May with up to 12 foundations who will participate in a peer-based experience with constructive support for implementing change. The cohort will be led by Daria Torres, Managing Partner of the Walls Torres Group, and will use the Equity Maturity Model (EqMM) as the central framework for the year-long process. The Equity Maturity Model focuses on 12 dimensions of practice and offers an operational and developmental path to institutionalizing an organization’s commitment to equity. By assessing current performance, clarifying gaps, and identifying concrete opportunities for learning and growth, foundations can begin implementing change and measuring results against a baseline organizational assessment. Recognizing that no none has fully mastered every aspect of this work and everyone is starting at different points, the model and this program will accommodate the spectrum of maturity levels. Whether you are just starting in your equity journey, or have been doing this work for years, the cohort is open to all foundations ready to deepen their commitment and take the next step in their work. To participate in the inaugural cohort, one executive and one board member/trustee from each foundation will commit to joining in-person cohort meetings throughout the year. Additionally, each foundation will receive six hours of customized consultation with Daria Torres, with the option to include staff, board members, and/or key community members in the work. The location for each session is still being determined. If you think your foundation is ready to make this commitment, registration for a limited number of cohort slots is now open! If you are interested, please follow this link to complete a sign-up form. You will be contacted regarding an information session in the coming weeks. A sliding scale fee is offered for the cohort. Detail will be presented at the information session. Daria Torres, Managing Partner of the Walls Torres Group, will serve as our first Executive in Residence. 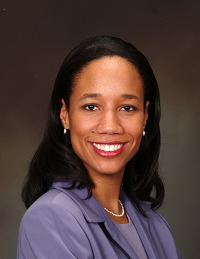 She will be joining Philanthropy Network in May and leading the inaugural Equity Cohort. Throughout the 12-month, immersive program, she will be supporting foundation leaders across the region as they use the Equity Maturity Model to institutionalize their organization’s commitment to equity. With over 20 years of strategy consulting experience, Daria is a widely sought-after executive-level advisor. She has helped some of the highest performing leadership teams and boards grapple with complex, strategic questions, and helped countless organizations build clarity, consensus, and commitment to new directional paths.